Driving, vehicles, and all that is related to these two wonderful interests could be considered as much more than a simple ‘hobby.’ Even those who are unfortunate enough to ignore or even dislike the automotive world will need to interact with it at some point in their lives. This means that our relationship to vehicles is a stock one, something that is a universal human need in the modern day. Sooner rather than later, you’re going to need to start helping your child with automotive confidence. It’s important for them to feel comfortable and interested around cars, and to be willing to learn how to drive them when the time comes. They may not become the most famous Formula 1 or rally driver in the world, but a healthy, lifelong ability to understand, operate and appreciate cars could be considered absolutely essential for the continued health of a child, and for them to adapt to their circumstances. This is because one day, your child will likely need to own a vehicle and operate it well. If this is going to happen, they might as well be taught how to view them in their correct context, to gain an appreciation for the power, design and maintenance involved. Cars are not simple products. They are feats of engineering, of design, of function. A child or young teenager might not understand just how incredible they can be, so it pays to teach them this appreciation. Why not head to a local car museum, or the closest one to you? This might be a vintage car rally event that takes place each year, or if you’re lucky enough to live near an area of significance for the automotive world, you might be able to visit. Some factories and manufacturers offer guided tours around their facilities from time to time, and you might be able to get a good deal here. However, if you’ve ever read this website, you’ll know just how excellent driving games can make all the difference when it comes to teaching people about the various models and tunings of vehicles. Perhaps purchasing the new Forza Horizon 4 or even a game like Dirt Rally can emphasize the beauty and the comfort in driving excellent vehicles, while also giving a range of insight about the vehicles depicted, as they will be real-life models. For example, the previous game, Forza Horizon 3 (which you can pick up very cheaply now might we add,) featured the voice of Jeremy Clarkson of Top Gear fame, explaining a little about the history and importance of each manufacturer. While we’re on the subject of Top Gear, we’d recommend watching the best car shows as a family if you can. For example, the new show ‘The Grand Tour,’ from the same people, is available for free if you own an Amazon Prime account. Nurturing a healthy automotive interest in your child is as simple as exposing them to cars, and to learn about them yourself. You might not need to make this your main fascination, but allow it to be something normal in your household, something that you can all relate to. This helps familiar brands, designs, specifications and the history of all of this become a normal, stable underpinning in your lives. When the age comes, they will be able to learn how to drive. Be sure to find the best driving lessons around, with a teacher who is both responsible, active, and willing to go over the basics until your child masters them. Try not to opt for cheap and rushed block lessons, as this can sometimes leave a child understanding how to drive, but picking up bad habits due to being rushed through the education from start to finish. Also, depending on the laws of where you live, it might be that teaching your child how to drive in some measure is allowed if you stick to quiet roads, and have an active license yourself. Just be sure to apply for L plates as appropriate. Of course, this can help your child gain more practice and driving time, helping them adapt to a vehicle more comfortable, and it might take some of the worries out of the initial learning process for them. However, keep in mind that often, children can pick up the bad habits of their parents if not adequately moderated by an industry professional. For this reason, never rely on your own tuition solely. Be sure that you book a decent amount of driving lessons for your child with a great teacher, and don’t be afraid to switch up instructors if something isn’t quite working out. We would also heavily recommend an after-care set of driving lessons with a professional, teaching them to drive on the highway and manage more complex driving tasks. This is often known as a ‘pass plus,’ or something similar, and can reduce the cost of your insurance payments. This means that the cost is relatively offset by this reduction in price depending on your package, but of course, the most important thing to consider here is how your child is likely to be safer on the roads. You, of course, should never teach them how to drive on a highway yourself, as this is wildly illegal if they haven’t passed their test, and just bad common sense if they have. You can’t expect your child to be able to work on their own vehicles if you didn’t show them how to. Unfortunately, this is something that isn’t taught at driving schools, but it would be great if it was. Working on your vehicle in order to improve performance and fine tune the engine is perhaps completely out of your interest or need, and that’s quite normal. However, simple maintenance tasks such as checking the oil level, dealing with frost, changing a tyre and learning what the warning lights on the dashboard mean, and should be known by everyone who drives a vehicle. Going over this with them, on your own personal vehicle can help them get an idea. But be sure to explore these tasks with them when they purchase their own car, or when you help them invest in one. This will give them the confidence to apply their own fixes and verify how well those have been applied in the first place. If you’re not sure yourself, learn together! It’s important for these lessons to be implanted, because it can help them throughout the entire span of their lives. When your child is up to date and able to drive on their own terms, it’s important to keep that sense of discipline there. Ensuring they know the dangers of drink driving, and how to drive responsibly at all times is essential. Letting them know the consequences of safety on the roads is essential, especially if they’re caught for speeding even slightly over the road limit. Discipline generates respect. Be ready to go as far as to prevent them from accessing their vehicle if these standards are not met. However, it’s unlikely to come to this. The best thing you can do is to follow adequate driving standards your entire life, as this teaches a child the importance of road respect, and they will emulate your behavior. Never smoke, use the telephone, or play your music too loud on the road. Be the model driver you hope them to be. Then, their automotive interest will remain healthy. 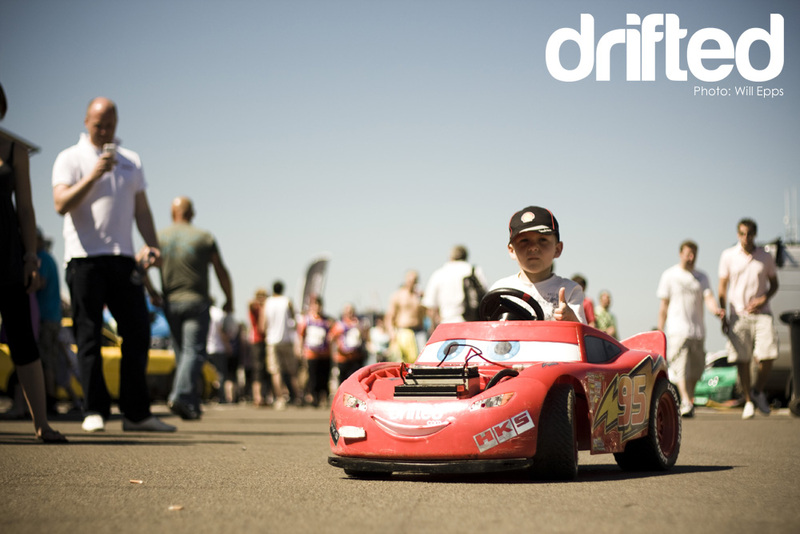 With these tips, nurturing a healthy automotive interest in your child is sure to be achieved.